Yes, TP Friends! Dual-SIM Dual-Standby Nokia X1-01 has landed in the Philippines! Obviously, the main selling point of this entry-level phone is that it can run two SIM cards at the same time; But mind you, that's hardly all it can do. Nokia X1-01 also comes with useful features like a flashlight, organizer, stereo FM radio, MP3 player and a microSD card slot that can support up to 16GB, which should be more than enough space for you to keep and carry all of your favorite tracks anywhere you go. So how much does it cost? Well, I went inside the store and asked the sales team. They told me it only sells for Php 2,280. I know. Very affordable. We got this straight from Nokia Philippines at Nokia X1-01 media launch in Makati. The official SRP of Nokia X1-01 is just Php 1,990! Please note, TP Friends! san mo nkita ung x1? sang mall? tnx.. 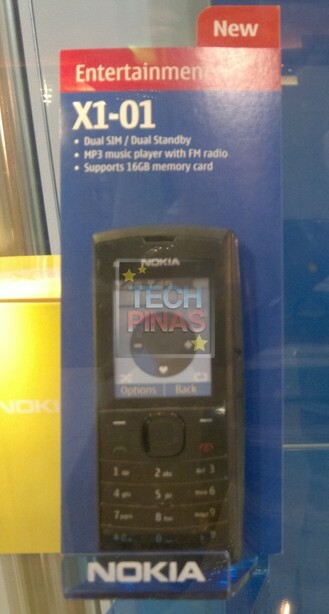 I saw this X1-01 in Nokia Robinson's Galleria. I was quoted by a lady that they will release this on June 17 and that the price is at $1999. I'm not sure if it's gonna be true. sang mall mo nakita yung x1-01? thanks! Parang di ko binanggit ah. Sa ROBINSON'S GALLERIA, sa EDSA corner Ortigas sa Quezon City and Mandaluyong boundaries. May Nokia Store doon sa bandang food court. You'll get more feature using C1-02 if it retails at 2k+... 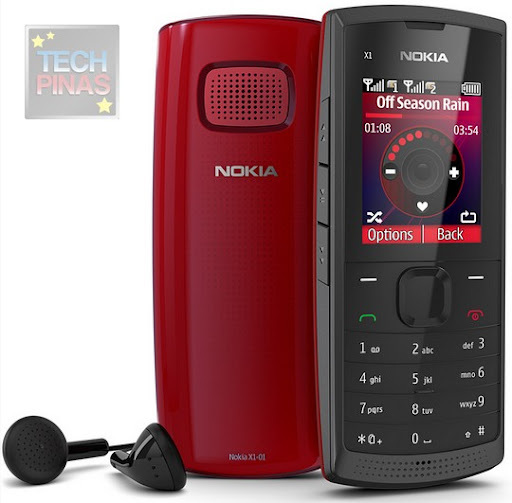 I thought it should be below 2k..
may kasama na ba na micro sd card ung nokia x1-01?